Effective immediately, Mr. Graeme Robertson, Scotland, is the new SHATPS Vice President. 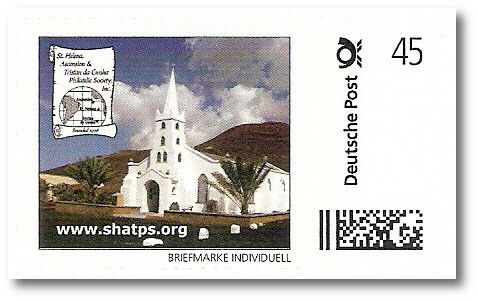 In the journal of the German BDPh (German Philatelists) an article about the stamps of Tristan da Cunha was published in the September issue. The article is written in German language and available as a BONUS article on the "SHATPS members only" page. We have a new Director-at-Large. At 19 August 2018 John K. Laurie/U.S.A. was appointed by our President Ray Lloyd for Director-at-Large until the end of this term (31 December 2019). He is the successor of Francois Friend, now Vice President. And - our Society needs a new Director-at-Large. Do you want to take responsibility for our Society? Then please contact our President or the Secretary. The term of office runs until 31 December 2019. There is not much work involved in the office. You can read more about the tasks of a Director-at-Large in our constitution and bylaws. All members will receive this plain card with the August issue of the South Atlantic Chronicle cost free. 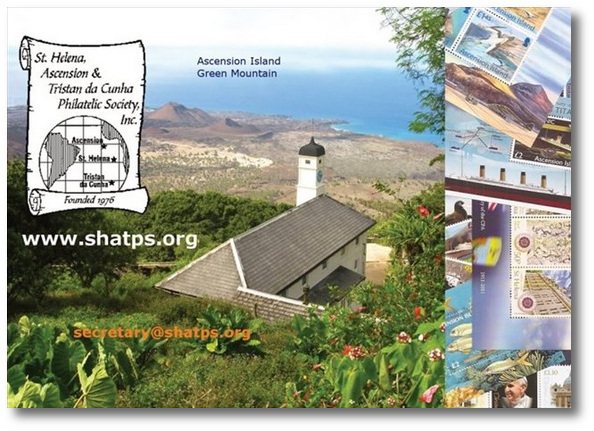 For $3 or a donation of $5 you will receive this card or our St. Helena / Tristan da Cunha postcard with a matching SHATPS stamp sent to your address. 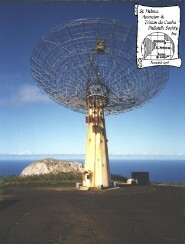 The plain postcard is enclosed with the August issue of the South Atlantic Chronicle. From 25 May 2018 new regulations come in force how we have to collect and manage data and information about our members. SHATPS will be adopting these new regulations. 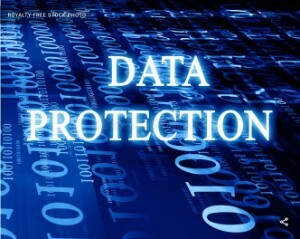 Many of our members are currently being asked by many companies and organisations to give a declaration of consent to the storage and processing of their personal data. We ask for exactly the same declaration. Please save us unnecessary and time-consuming reminders, because failure to implement the GDPR can result in penalties for the secretary and thus for the society. 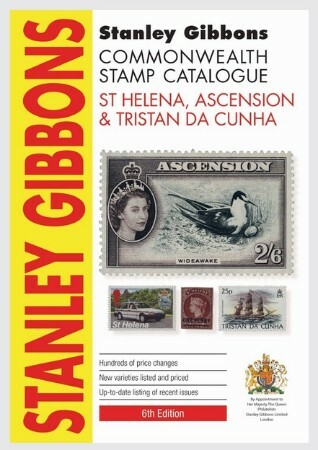 Stanley Gibbons released the 6th edition of the St. Helena, Ascension and Tristan da Cunha Catalogue. .... you do not need to open a PayPal account for your payments to SHATPS. If you use the yellow BUY NOW button on our Membership page you can decide to pay with PayPal - or with your credit card. You have to enter your credit card data in the online form and our PayPal Agent Ted Cookson will receive your payment via PayPal. A great improvement for all members who are not willing to open a PayPal account. The 2018 membership fees are due at 1st January 2018. If not already done, please send your subscription dues now - many thanks! 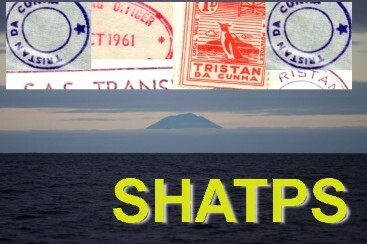 The new SHATPS book "Tristan da Cunha - A Listing of Ships' Visits Between 1901-2016" is now available and details of how to buy it are published on the page Society publications. 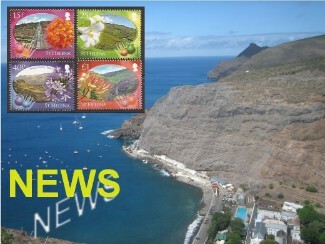 All friends and members of the St. Helena, Ascension and Tristan da Cunha Philatelic society are cordially invited to join our Facebook group, originally founded by our late member Barbara Kuchau and now moderated by our member Joseph Frasketi. Actually we have 76 members with a great number of non-members. On the group page you find news and interesting stories round our 3 islands with some beautiful photos and videos. Come and enjoy! 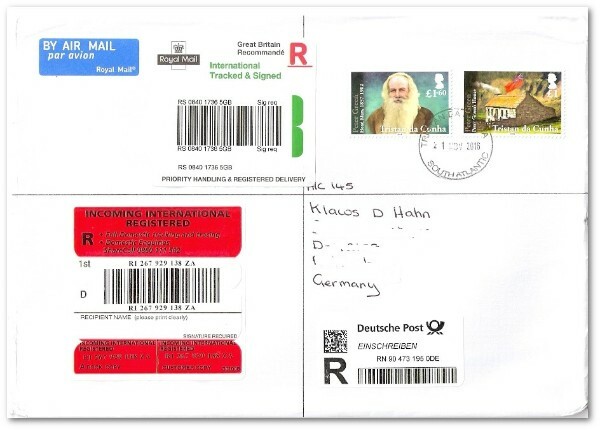 Perhaps you wondered about Tristan da Cunha registered mail in the past weeks? No Tristan R-label but instead a GB R-label? What happened? The Postmistress of the Trista da Cunha Post Office Iris Green told that the ISO-code "TA" has gone to "SH". Until this matter is sorted they are using U.K. labels. This software has now been updated and the availability of articles now runs to the issue of November 2015. The software is available as a two-DVD set, and can be ordered from our Secretary, Klaus Hahn, and will be distributed by Ted Cookson. The software is extremely simple to use, and will run on any Windows PC using Windows Vista, or Windows 7 onwards: it has also been used on an Apple Mac in Windows emulation mode. For existing users of the software, the new version can be had for the cost of postage only: you will receive the two DVD’s and will need to uninstall the previous version and install the new version instead. For new users, the full set will cost US35.00 for members, and US$55.00 for non-members, plus postage. To order, please go to Society publications where you can see the shipping fees. Our member and Boer War specialist Robin Woodruff has published a new booklet. If you are interested, you are warmly invited to order his publication. 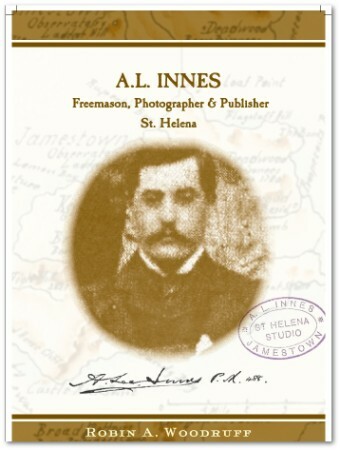 "My publication "A.L.Innes, Freemason, Photographer and Publisher, St Helena" is complete and ready to print once I get to the office on Thursday. It is an A4, 24pp booklet in full colour throughout and covers how I came across a photograph album of some 98 Innes photos of the Boer Officers and men, the POW's, personalities, buildings, scenes of the Island landscape etc bound in, plus 2 loose photos of the Members and Guests of St Helena Lodge 488 circa 1900, My research of these and Innes's Masonic record. This is followed by a comparison original images and some of the Post Cards he published from these images plus some additional Studio photos, one of shop and details of a piece of Postal history. His departure and information about the gentleman who ran his shop after he left and an image of his camera that is in my collection. Ending with a postal cover from Canada and 2 PPC's in Full Colour also produced by him." Please enjoy the St. Helena exhibition of our member Stefan Heijtz (19 MB PDF-file) - an accumulation of finest St. Helena postal history. 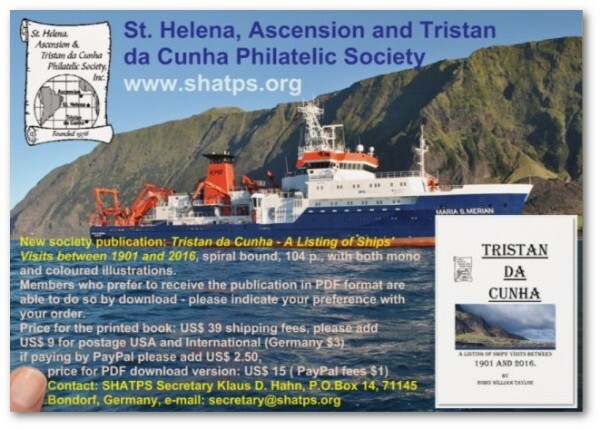 "Eight Months on St. Helena, Three Weeks on Ascension, and Fifteen Days on Tristan da Cunha,"
is available online as an audio track and as an audio-visual Flash presentation. Mike's talk was delivered at the second international meeting of the St. Helena, Ascension and Tristan da Cunha Philatelic Society at the Hilton London Islington Hotel in London, England on May 13, 2010. To enjoy this talk, click here.